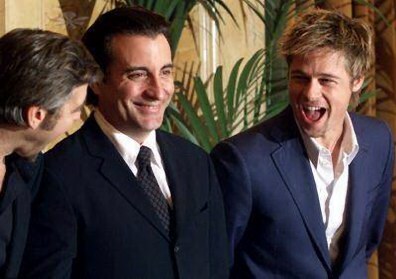 Mon, Dec 10 08:06 AM Hollywood star Brad Pitt (R) smiles as he looks over at co-stars (L-R) George Clooney and Andy Garcia as they pose for pictures at a hotel in Rome, December 10, 2001. 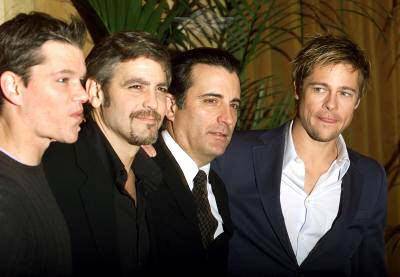 The actors are promoting their new movie "Ocean's Eleven," directed by Steven Soderbergh, Dean Martin about a heist in Las Vegas. 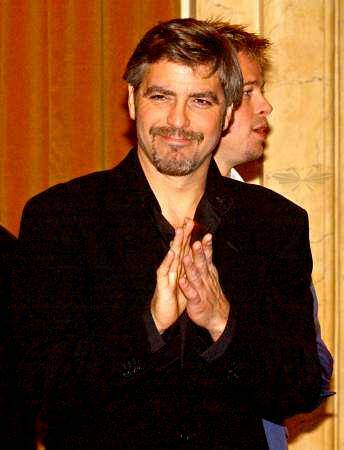 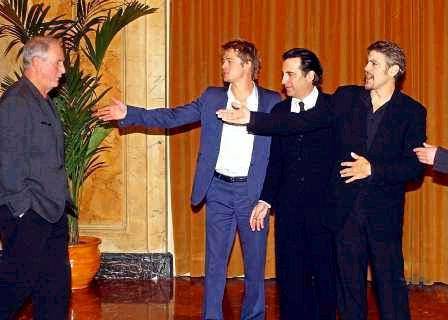 Hollywood stars George Clooney, Andy Garcia and Brad Pitt, from left, point toward producer Jerry Weintraub during the presentation of the movie "Ocean's Eleven" in Rome's Grand Hotel, Monday, Dec. 10, 2001. 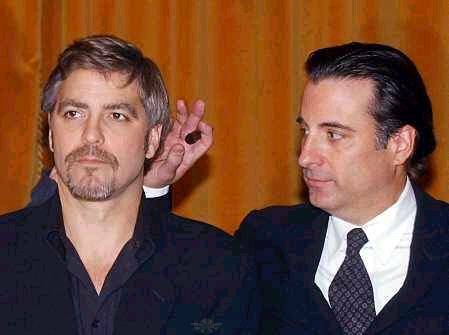 Hollywood stars George Clooney, left, and Andy Garcia attend the presentation of the movie "Ocean's Eleven" directed by Steven Soderbergh in Rome's Grand Hotel, Monday, Dec. 10, 2001.